While our honey, pollen and honeycomb are great on our taste buds, we enjoy exploring the benefits they offer for body care – inside AND out! We have learned that honey is a wonder for the skin and for wounds since it is antibacterial and antifungal while also providing moisture that the skin needs to rebuild itself. 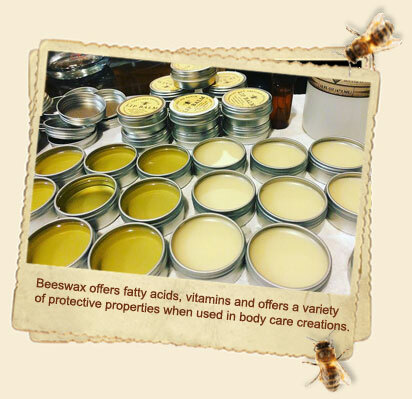 Beeswax offers fatty acids, vitamins and offers a variety of protective properties when used in body care creations. 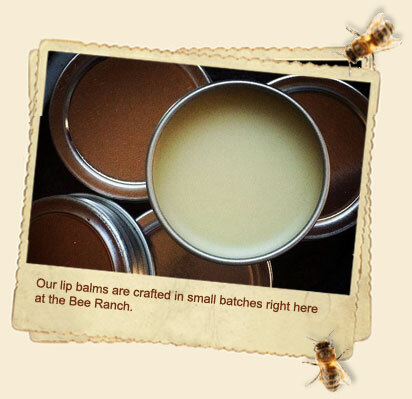 These are the building blocks of our new handcrafted Body Care products. As we explore, create and test, you can follow along on our social media accounts to see what new beeventures are in progress. 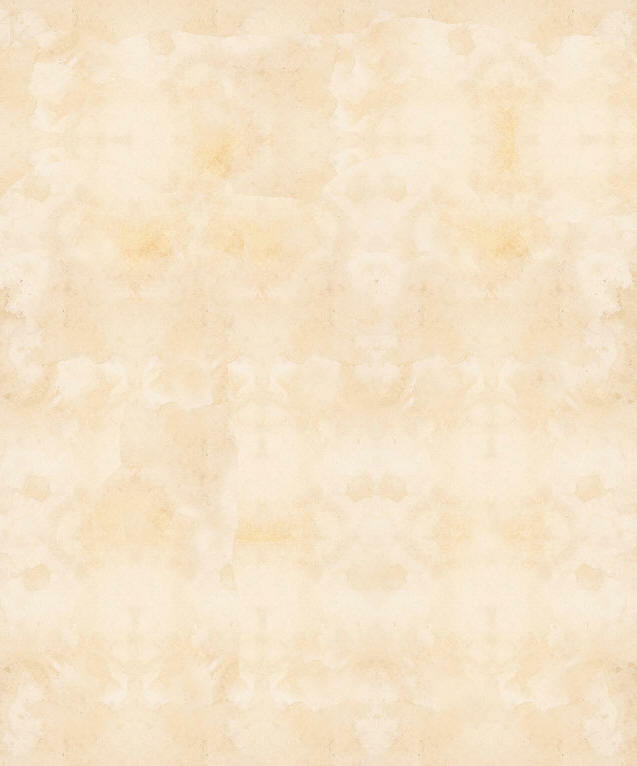 We only list new products here after we are completely satisfied with the quality and consistency of whatever we create for ourselves and for you. We hope you love these as much as we do and that they help you care for your body, inside and out. bit on an insect bite helps to soothe the itch? Try it! 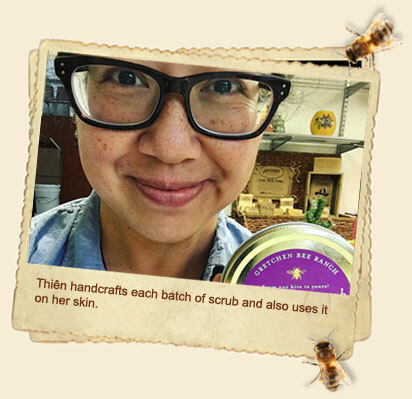 honey glow and also helps heal blemishes – double bonus. production. 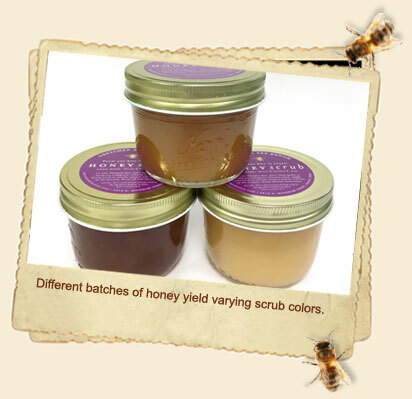 Don’t be surprised if you see variations in the Honey Scrub colors – it’s the texture that matters! diet that includes good hydration practices, skin can feel and look healthy over time.